Cat, meet dog. Sound like a recipe for disaster? It doesn’t have to be. Your cat can learn to love (or at least tolerate) a new dog if you follow a few simple steps for introducing the two species. When you bring a new dog into a home that already has one or more cats, take care to make sure the newcomer is a good fit for your household. If you’re adopting an adult dog from a shelter, ask whether the dog has lived with cats before, and whether he or she displays predatory behavior towards smaller animals. If you’re getting a puppy, choose a breed that’s known for being compatible with cats—check out this list for tips. Before you make the introduction, your dog should know how to come when called, sit on command, and how to “leave it”—drop something he or she has picked up. A Certified Professional Dog Trainer (CPDT) can help your dog learn these basic commands if he or she isn’t already well trained. If your new dog is a puppy, it may take weeks or months to master obedience skills. You don’t have to put off the introduction, but you will need to take a few extra precautions. When you first bring your new dog home, give your cat a safe, peaceful place to retreat, and keep the dog in a separate area with a baby gate or other barrier. Begin the introduction slowly. Put your dog on a leash and take a stroll to a spot where your cat can see and smell your dog, but your dog can’t get too close to your cat. If your new dog barks or lunges at your cat, use obedience commands and rewards to encourage calm behavior. 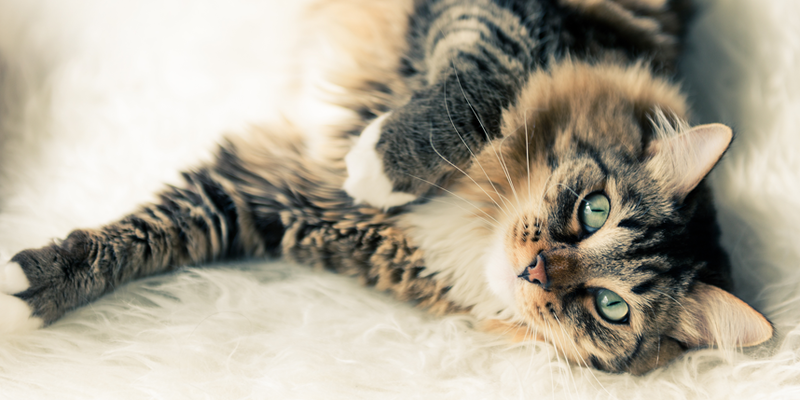 If your cat shows signs of agitation—like hissing or spitting—or goes into hiding, that’s fine. Keep up this routine until both animals start to get used to one another. 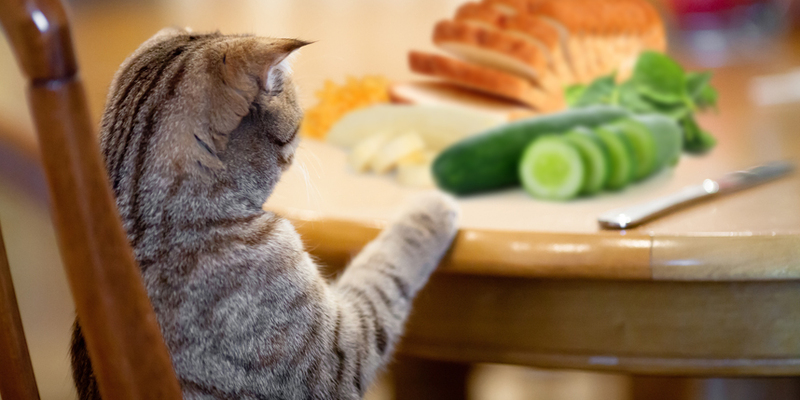 As the days (or weeks) go by, give your cat more opportunities to observe your dog. As long as your dog doesn’t display any aggression, like chasing or barking, you can gradually remove barriers and lose the leash. Make sure your cat has a “territory” that your dog can’t access (typically high shelves or other inaccessible areas of the house) and that your dog is kept away from the litter box and cat food. Your cat may choose to keep his or her distance, or the two species may become fast friends. Either is fine, as long as you have pet peace and harmony in your home. 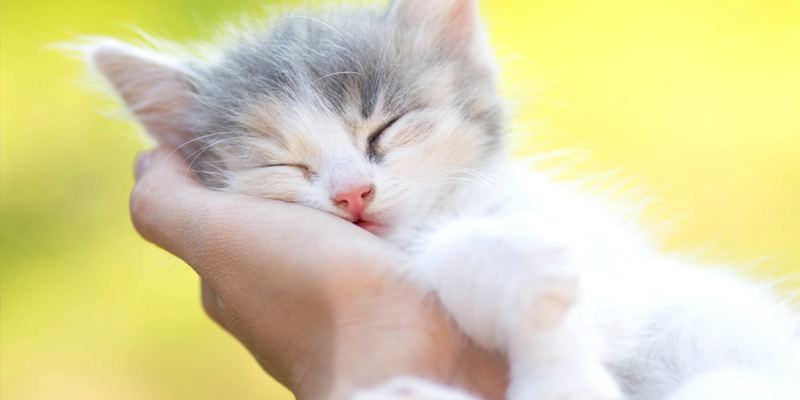 If you introduce your cat to your new dog with care, you’ll minimize stress for your pets and yourself. 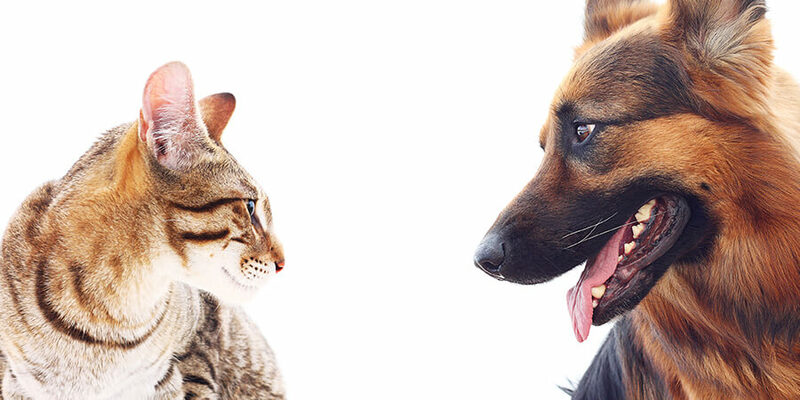 Soon you’ll be enjoying the best of both worlds—dog and cat!